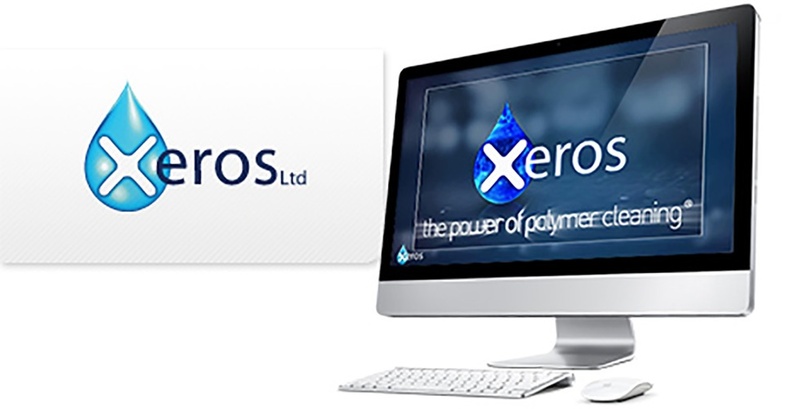 Video is a great way to clearly convey your message with atmospheric visuals, a story-telling sequence and powerful illustrative graphics and text – and no more so than the production of the Xeros promotional video, “The Power of Polymer Cleaning”. 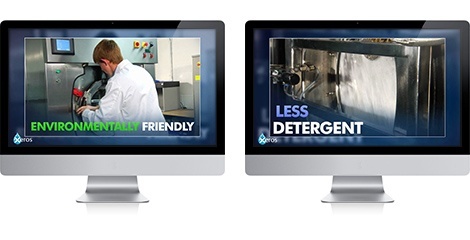 From start to finish the sequence was designed to present the viewer with a comprehensive understanding of the focus of Xeros’ development of ‘virtually waterless’ laundry cleaning, getting close not only to the unique washing action, but the ideas behind it – visually explaining the process, the company’s ethos, and the benefits of the Xeros system. Establishing shots of the Xeros offices and their location in a high tech industrial park, resplendent with renewable energy sources, help to set the scene of the forward looking nature of Xeros. The video sequence goes on to lay the foundations of the company’s years of research by Professor Stephen Burkinshaw and the University of Leeds, building confidence and indentifying the brand. By introducing clear animated titles, including bespoke text transitions emulating the Xeros beads, we were able to highlight the unique technologies the company are developing. Telling the complete story of the washing process from load to completion, gives the sequence a linear timeline which is then punctuated with on-message one liners highlighting important stages, technological advances and unique benefits. Through the use of a Steadicam team we were able to literally ‘walkthrough’ the Xeros offices, from the computer aided design studio to the testing floor where the latest prototypes are put through their paces. Close-ups and split-screen editing allowed us to focus the viewers attention on the special polymer beads used within the Xeros washing machine, the beads were also modeled in 3D for greater clarity and to further emphasise their importance. The overall colour, look and feel was carefully managed throughout, presenting the viewer with a concise, clear and convincing message of the Xeros brand, tailored to leave a lasting impression. Game-changing technology brought to life via the emotive clarity of video!